Democratic New York Rep. Alexandria Ocasio-Cortez said climate change was a “major factor” behind the wave of migrants making their way to the U.S. southern border. “Perhaps that’s [because] they’d be forced to confront 1 major factor fueling global migration: Climate change,” Ocasio-Cortez tweeted. But have you ever noticed they never talk about what’s causing people to flee their homes in the first place? It’s part of a growing effort to link global warming to a host of seemingly unrelated issues, like immigration, national security and health care. 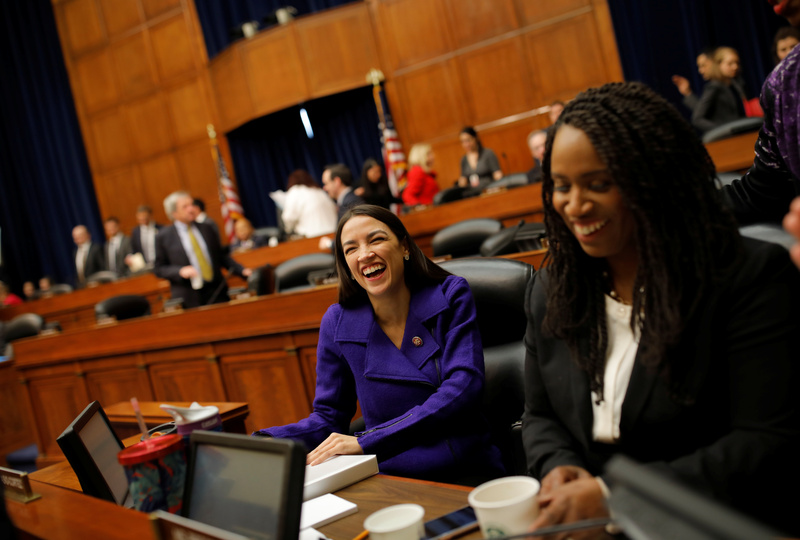 Former Vice President Al Gore repeatedly tried to link man-made warming to the current wave of migration from Central America to the U.S.
U.S. Rep. Alexandria Ocasio-Cortez (D-NY) and Rep. Ayanna Pressley (D-MA) smile after the House Oversight and Reform Committee voted to subpoena the White House about security clearances while meeting on Capitol Hill in Washington, U.S., April 2, 2019. REUTERS/Carlos Barria. A number of news outlets have made similar claims, linking global warming to migrant caravans that dominated headlines during fall 2018. At the time, thousands of Central American migrants made their way to the U.S. southern border to claim asylum and gain entry. Droughts hit Central America in recent years, driven by the incredibly strong El Nino in 2015. El Nino is a regularly occurring natural phenomenon, not the product of human emissions. What does the science say about droughts and global warming? Climate models generally project some regions will see more frequent droughts by the end of the century, but tying today’s droughts to human emissions is problematic. The United Nation’s most recent climate report found “slow confidence in the sign of drought trends since 1950 at the global scale,” but high confidence in trends in some regions, which included decreases in drought frequency in central North America.